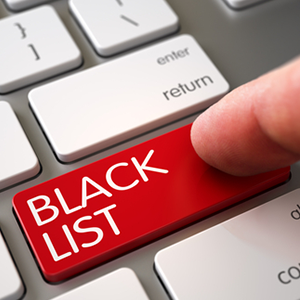 How to Prevent Your Website from Getting Blacklisted? Thousands of websites get blacklisted on a daily basis in the vast expanse of the internet. Unfortunately for webmasters, getting blacklisted can bring about a disastrous impact on a website. Some of the consequences of being blacklisted include a major drop in traffic and search engine rankings, hosting suspension, and harsh browser warnings. Blacklists refer to lists of IP addresses, domains, and websites flagged for issuing harmful content. These lists are maintained by blacklisting authorities. These authorities include ISPs, antivirus, and search engines. Each authority has an interest in protecting their network and users. For example, antivirus companies are interested in protecting their clients by denying access to websites that are known for distributing illegal software, malicious payloads, and drive-by-downloads. This is where the need for a good blacklist removal tool comes into play. Search engine results say: "Possibly Compromised"
Why does Your Website Get Blacklisted by Google? The website could be labeled as fake or deceptive. Sometimes, your web pages may also get modified in order to gather user data and send it to other servers. These servers are controlled by the hackers themselves. These altered pages could ask users for private data. Not aware of the fact that they are being targeted, innocent users go ahead and submit their sensitive data. A phishing attack on your website can thus decrease the users’ trust in your website. Typically, you will find a red screen with some warning using the keyword ‘malware’. Google does this type of blacklisting when it suspects that your website is being used for spreading malware. You may notice your hacked pages automatically downloading malware when visited. Hence, your website might be the target of spreading malware. To keep users safe, their browsers may display some warnings. Scraping websites is not illegal but you will need the permission of the concerned party. Google scraps content all the time and has prior permission but you may not. Google bans the IP if it notices scraping from search results. In such situations, it becomes difficult to remove a website from Google blacklist just because of policy infringement. Sometimes website owners clone web pages from other websites. This saves them time and resources though it is actually a fraud. Upon identifying such content, Google will go ahead and blacklist the website. How to Prevent Websites from Getting Blacklisted? The Comodo Cyber Security Operations Center (CSOC), which helps in blacklist removal, is made up of a team of always-on certified cybersecurity professionals responsible for monitoring, assessing and defending websites, databases, data centers, applications, networks, desktops, servers, and several other endpoints for customers. Using a modern facility and Comodo cWatch technology, the CSOC detects and examines threats and then carries out the necessary actions in order to maintain optimal security.